Love this idea I spotted recently for transforming an antique multipaned window into a calendar. You may already have a window like this sitting in your basement. 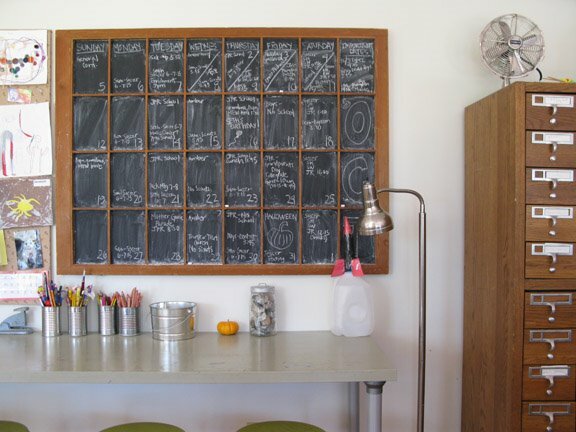 If not, pick one up from a flea market or salvage yard, give it a quick cleaning, and then paint the glass with a few coats of chalkboard paint. And done! So cute—and practical! You always have/find the best ideas. When I was still teaching, I turned one of the many huge chalkboards in my classroom into a calendar with string and some thumbtacks. this looks so much better!